Switzerland’s ambassador said the agreed text was “not any country’s idea of a perfect document, and added that this is “usually a sign of a successful negotiation”. Mexico’s ambassador declared the outcome document a “far-reaching plan for sustainable development”. The Preamble establishes a theme of interconnection between People, Planet, Prosperity, Peace and Partnership. For the Planet, the collective aims are “to protect the planet from degradation, including through sustainable consumption and production, sustainably managing its natural resources and taking urgent action on climate change, so that it can support the needs of the present and future generations.” The explicit interlinkage between these and other human development priorities is clear. The interlinkage between the SDGs is an active component of the agreed strategy for sustainable development. Though Goal 13 aims to “Take urgent action to combat climate change and its impacts”, each of the other goals is somehow connected to the climate issue. Climate is one of a number of cross-cutting issues—as are poverty, health, and human rights—that bring the SDGs into lived local context and into the realm of action. Gender is another cross-cutting issue, rooted in the need for improved access to education, improved access to economic opportunity, food and water security, and other aims of the Post-2015 agenda. The Preamble specifically recognizes that achieving human rights for all hinges on achieving gender equality. The “empowerment of all women and girls” is a standalone goal, but is also “integrated and indivisible” from the goal of achieving human rights for all. Without honoring this crucial insight, the means of implementation for improving conditions on both gender equality and human rights would lose a significant amount of leverage. If Goals 5 and 6 are anchors to make sure these particular priorities are priorities, but that the agenda is wider and more integrated and represent a commitment by the world to address climate change. Without addressing issues of social justice, there can be no real and lasting climate, environmental, or economic gains. Social justice cannot exist without environmental justice. In many contexts, women in their role as social network aggregators, are more vulnerable to the impacts of climate change. Water, a natural resource upon which all species depend is particularly important because of the central role water plays in a woman’s life, determining whether she can secure stability for her family via cleanliness, sustenance and energy. Women uniquely face economic, political and social obstacles that compete with their ability to cope day to day. Those challenges are compounded by unequal access to resources and to the decision-making process. Gender is the missing linkage in achieving a coherent strategy to address social injustices caused by climate change. Climate change has perhaps the most significant impacts on fresh-water resources. It imposes particularly harsh impacts on those who use water for domestic tasks, such as collection of drinking water, cooking, and cleaning duties. The increased frequency of floods and droughts, for example, has far-reaching implications for vulnerable groups, affecting families, communities, and entire populations through the impact on women, who are responsible for household management. Access to water plays a key role in the stability of the household. Without access to basic needs, there is a domino effect that follows. Abraham Maslow outlined the what he called the hierarchy of human needs in a 1943 paper titled “The Theory of Human Motivation”. 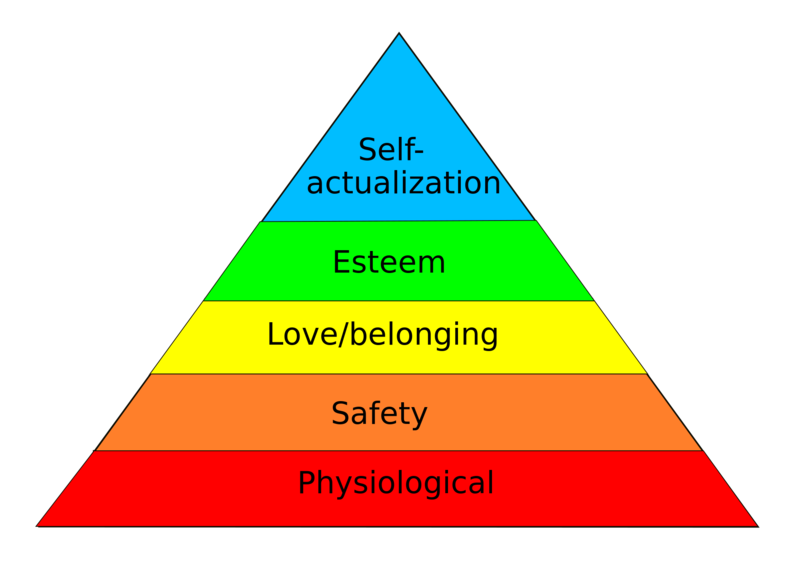 Maslow focused on needs fitting into the categories of “physiological”, “safety”, “belongingness” and “love”, “esteem”, “self-actualization”, and “self-transcendence” to describe the pattern that human motivations generally move through. If I have the belief that I can do it, I shall surely acquire the capacity to do it, even if I may not have it at the beginning. The SDGs are motivational, as well as action-oriented. They should be, if they are implemented in the most catalytic way, a means for optimal capacity-building that makes it easier for people to steer, participate in and achieve a higher level of human development, economic empowerment and environmental resilience. Generative economic analysis suggests a need for optimizing reinforcements to facilitate better outcomes for people, in five areas—biological, structural, intellectual, political, and community. These optimizing reinforcements help us to ensure first-level resiliency—the reliable building of value at the human scale. The SDGs are not merely a list of goals, but a framework for coordinated and measurable policy innovation. Progress on one goal should mean an easier time achieving the others; backsliding on one goal should serve as a caution about possible obstacles to moving forward on the others. With degraded access to water and basic sustenance, there is an effective halting of any further achievement in other areas, such as education, political involvement, or the actualization of individual talents. Finally, the ability to realize and maintain self-efficacy, described in Maslow’s Triangle as self-actualization, is the how the sustainable development agenda will survive the next 15 years. Self-efficacy is what individual believes he or she can accomplish using their skills under differing circumstances. 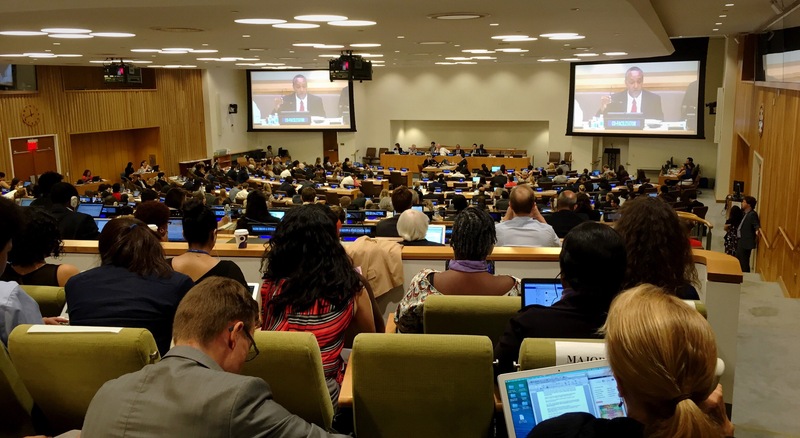 Without ownership over individual SDGs, many human beings will not be able to realize their full capabilities, and will remain limited by environmental factors. 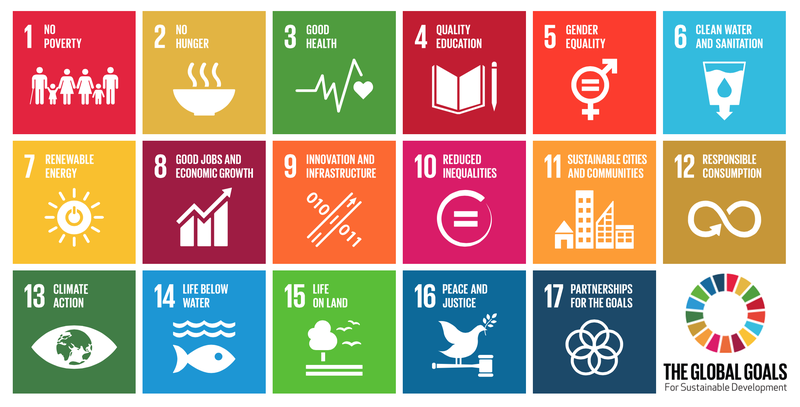 Data relating to human behavior, quality of life, educational, economic and political opportunity, and more, are crucial to tracking progress toward the Sustainable Development Goals. In their current state, the SDGs lack a way of assembling a more diverse team of actors that can contribute to data sourcing and collection. Women will be the foot soldiers of the coming “data revolution” needed for the SDGs to be successful. To rely on traditional structures like governments and national service providers who are already strapped for resources cannot compete with the task of collecting data to track progress and metrics for the SDGs. Women are an untapped source and are much closer to the data points themselves. In the UN’s own platform for the data revolution takes the issue of gender seriously. By focusing on a gender data revolution, the UN prioritizes two future drivers of data collection: active users and visible data points. The current methods should include “data literacy programmes [that] must make a special effort to reach out to girls and women”, and should compensate for “unstated social norms that reserve maths, computing and similar disciplines for boys and men”. Women are not very visible in current data collection methods, so the UN is looking to first disaggregate all data by gender. Then, collect data on the things that matter most to women’s lives. By designing for and with women—and by thinking radically about innovation in distribution systems as well as product development—we can achieve greater impact in the lives of poor women, and therefore in the economies of the developing world. Two priorities can make sure we are using data in ways that empower women and reduce inequalities: 1) Data that are more detailed in telling women’s stories, and 2) women participating in the use and management of data and in the interpretation and application of insights. There are powerful interactions between policy actions and data that track human development. For instance, the Zero Mothers Die project provides free pink mobile phones to pregnant women, with minutes already added, to ensure they have access to emergency medical advice and/or care. This is a case where policy action responding to data aims to eliminate maternal mortality in places where women are otherwise threatened simply by a lack of access to information and to practitioners. The future of data collection will be driven from bottom-up tactics that open official channels by which civil society and non-state persons can participate in and own. The MyWorld initiative, from the UN Millennium Campaign, collected survey responses and qualitative inputs from more than 7.5 million people in 194 countries, to get stakeholder feedback on what the priorities should be for the Post-2015 development agenda. You can now navigate all of this data through the data visualization engine on the World We Want platform. Creative data collection is the structural support holding up the future success of the SDGs. If targeted action to empower stakeholders comes early, the SDGs can capitalize on that early momentum through crowdsourcing. Ensuring a participatory role for women and girls in shaping the world they will live in means a far greater likelihood we will achieve that world, together. Eliminating fossil fuel subsidies and “removing market distortions” inherent in the burning of fossil fuels is climate policy; it is also health policy, and relates to clean water, and to protecting life on land and in the oceans. Here, it is assigned the role of achieving responsible production and consumption. The IMF, the World Bank and the OECD see two main ways to use fiscal policy to mitigate climate change [PDF]: one is to remove subsidies; the other is to price carbon. Both remove market distortions or eliminate negative externalities that flow from the burning of fossil fuels. Responsible, transparent, socially inclusive carbon pricing not only removes market distortions; it sends a clear price signal to investors, businesses, consumers, and the overall macroeconomy, to change course and move toward more robust clean energy investment. Clean energy is Goal 7: Ensure access to affordable, reliable, sustainable and modern energy for all. Deployment of clean energy can be clean development in countries still building their energy-production, industrial and transport infrastructure, or the retrofitting of industrial, transport and energy infrastructure in already industrialized countries. By acting on Goals 7 through 13—Clean Energy, Jobs and Economy, Innovation and Infrastructure, Reduced Inequalities, Sustainable Cities, Responsible Consumption, and Climate Change—in a way that recognizes the significant and valuable interlinkages between them, we can move forward faster on all of them. Climate change affects poor and marginalized communities more routinely and more aggressively, because they have fewer institutional and economic resources per capita, and because they are more likely to be living at a distance from emergency assistance. Climate change feeds on economic inequality and exacerbates it through ongoing, compounded impacts. The right policies for Goals 7 through 13 will provide opportunities for local employment, decentralization of technological capability, knowledge, education, and influence. This feeds real and measurable human development value back into the wider policy realm, and increases the leverage any one policy choice has for reducing inequities and fostering resilience. By eliminating negative externalities that impose high costs on vulnerable people and communities, and by incentivizing new flows of investment to local economies, we see reduced inequality. By way of enhanced educational opportunity, this cycle is strengthened, and we can expect still more generalized improvement in opportunities available to people and communities across the world. The Post-2015 Development Agenda is now ready to be put into action through the Sustainable Development Goals, and the framework outlined in “Transforming Our World: The 2030 Agenda for Sustainable Development”. It has been a global process characterized by inclusive citizen consultation, and by a determination that all people in all countries are better off if all countries work together toward genuinely sustainable policy and practice, for people and planet. In September, at UN Headquarters in New York, the world’s leaders will meet to adopt the SDGs as a legal framework for development. What now begins is the work of deciding what kind of policy details will flow from this new framework. That we have 17 goals, encompassing such detailed and ambitious aims, and that there is a deliberate effort to understand and to leverage linkages between them, means we have a strong chance—if everyone who has something to offer gets involved—of eradicating extreme poverty, reducing both threat and harm from climate change, and achieving more participatory, open, human development. Sarabeth is a consultant for United Nations within the Division of Sustainable Development within the Water, energy and Capacity Development Branch. Her specialities include the nexus of water, climate and environmental justice in the post-2015 Sustainable Development Agenda. She has served as a Peace Corps volunteer in Peru (2011-2012). She volunteers for the non-partisan non-profit Citizens' Climate Lobby and oversees the internship program for Pathway to Paris coalition-building and global citizen-engagement project: PathwaytoParis.org. She is a Alumnus of Lehigh University and Moravian College with a background in Environmental Chemistry and Environmental Policy Design. She serves as CARE's 16th district representative from Pennsylvania for their women's rights, and gender and climate change platforms. She actively contributes to community engagement around climate change and blogs on Pathway to Paris and Adopt A Negotiator.